It’s time to break myths, we get tired of hearing that softboards are “just” for beginners, for summer swells and fatty waves, choppy sessions. In recent years all these postulates were falling, although if there is part of truth on some of them, and they are still a great way to approach your first surfing days. A new movement of surfers has begun to set trends, riders willing to having fun, breaking the status quo in the lineup where performance is preferred over fun. We are talking about the increasing number of surfers riding softboards, not only see in summer alike conditions, but also all kinds of consistent surf, from radical and almost impossible tubes, radical beachbreaks, slabs, etc. The potential is infinite. 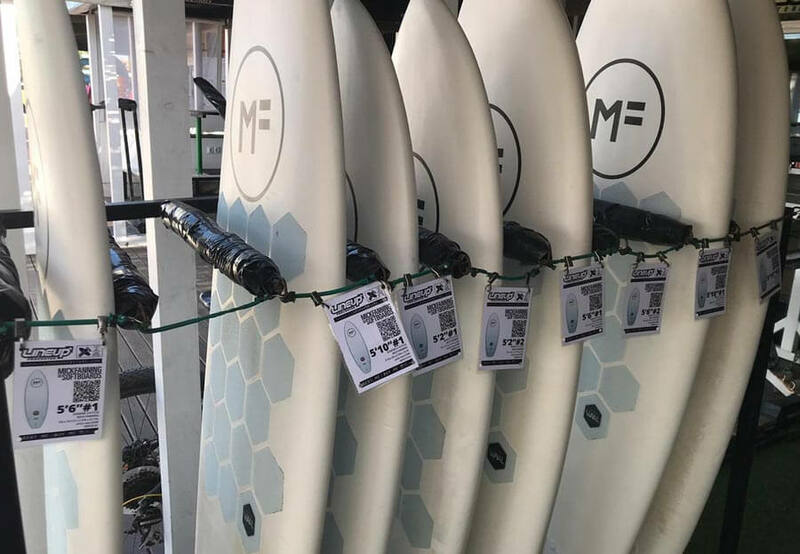 The mick fanning Surfboards are in themselves a set of pure fun and high performance and an exquisite finish, its core of eps shaped to perfection, a central strip of Carbon Fiber on the top that gives the flex of a high-end baord, two layers of fiberglass and a very neat foam coating. Another great plus are the boxes of FCSII, we do not have to clarify anything else to this last point, it is only the cherry on the tip of the cake. 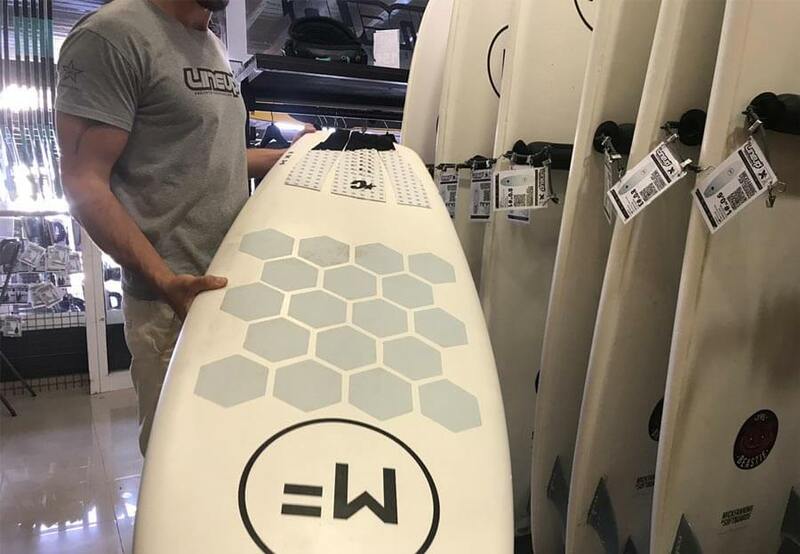 The models that we have tested are: The little marley, this baby is pure fun even for people who takes surfing very seriously, it goes simply in the slightest wave, planes through the sections and responds like any traditional summer ripper. Another chapter are the Beastie and the Eugene although they respond like a Mini Malibu and a short board respectively, they are suitable even for the most serious conditions, a must have for when your beach break gets very complicated ang gnarly. 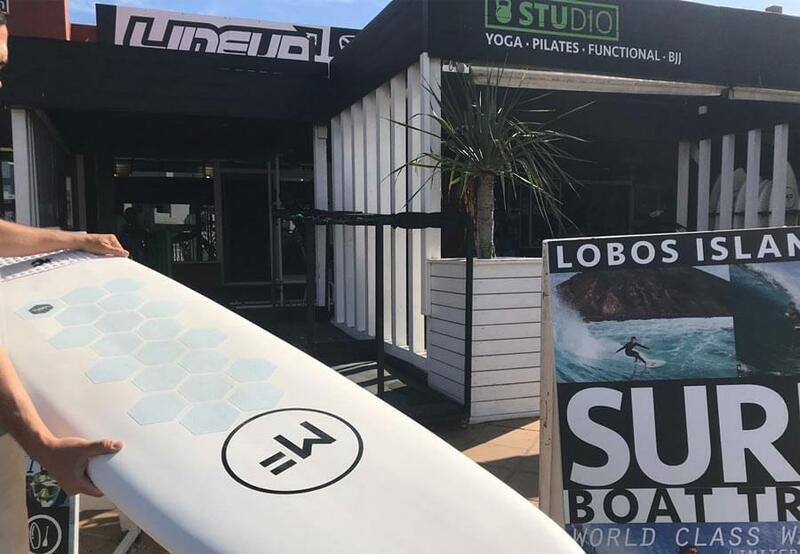 You can come to our MF testcenter in Line Up Procenter, rent and try all the models as many times as you want, we also have some new boards ready for sell.